Unless you're a superstar, college coaches may not know anything about you. How can you grab the attention of coaches at the top schools at the NCAA Division I level and also get a college scholarship? You'll need to be proactive. This article provides vital information on how to get accepted to the top college athletic programs and also provides lists of the best Division I athletic programs for numerous sports. To begin, create a list of target schools and gather contact information, such as email addresses and telephone numbers. Next, draft your cover letter and professional résumé, making sure they have no spelling or grammar errors. The letter may be sent via email, with the résumé as an attachment. In your cover letter, be concise. Write about who you are. Provide athletic information such as height, weight, and the position you play, as well as academic information and any athletic or academic honors. Also, make your cover letter personal so it stands out from the crowd. Include a photograph of yourself---it also lets coaches who have not met you get a look at your physique. Your professional résumé should include detailed statistics on all of your sports seasons, your GPA, and your SAT or ACT score, along with your high school transcripts. A good GPA and a good SAT score let a coach know you'll be able to keep the minimum college GPA required to stay eligible to play the sport. College coaches typically receive a large number of emails. Therefore, you should put something enticing in the email subject line to get them to open it. For example, if you're a baseball player, put your high batting average in the email subject. If you're a football player, include something impressive for your position. Currently, high school athletes seeking a Division I scholarship need at least a 2.0 GPA. However, the class of 2015 and beyond will need at least a 2.3 GPA. Currently, students with a core GPA of 2.5 are required to have at least a 820 SAT score (combined on the math and critical reading sections) to be eligible. The new plan requires students with a 2.5 core GPA to have at least a 1,000 SAT score. If you're having a difficult time in academics, take it as a challenge. You have a passion for your sport. You've worked really hard to become a top high school athlete. You have a strong desire to play your sport at the NCAA Division I level for a top program. In short, you have the determination, the focus, and the competitiveness it takes to succeed at sports. So, take these same virtues and apply them to academics to make sure your scores are higher than the minimum requirements. If you don't get a response from a particular coach, use different information in the email subject line. Don't lead with numbers because it increases the chances your email will go into a spam folder. College coaches don't have a lot of times to watch games, so highlight videos are vital in the recruiting process. College coaches use highlight videos to make initial evaluations of athletes before committing to see them play in person. In your résumé, provide a link to an online video of your athletic highlights. During the season, update your video with great highlights. If a few weeks go by without hearing from a particular coach, have the courage to call him on the telephone and express your interest in his college and why you think you would be a good fit for his program. If you're able to get a telephone conversation, impress the coach with your knowledge of the college and the particular sports program you're interested in. Respond to every coach who sends you an email. Never ignore a telephone call or email from a coach even if the college is low on your list, because a college near the bottom of your list may end up being one of the few schools offering you a scholarship. Become familiar with the NCAA rules and regulations regarding recruiting high school athletes and the academic requirements. Register with the NCAA to be cleared for athletic scholarships. For colleges you're interested in, complete the athletic questionnaire on the school's athletic website. Find out where coaches will attend camps and showcases. Let the coaches you're interested in know you'll be there. Attend camps and showcases, but realize that even though you received an invitation, the majority of coaches mainly evaluate the athletes they already know. If a coach hasn't watched your video and had several conversations with you before you attend a camp or a showcase, you may not be recruited at the setting. Most college coaches attending the camp have a list of athletes they want to look at. Coaches typically don't scout at camps. If a coach communicates with you at a camp or showcase, follow up with a telephone call or an email. Send coaches your team's schedule to increase the chances they'll come and watch you. Be selective about attending college camps because coaches invite a lot of athletes to camps to make money from the camps for their sports program. Some of the money is added to the recruiting budget. There are basically two ways you receive camp information: either a coach is interested in recruiting you or, more likely, you're in a database and the coach has no idea who you are or your talent level. If you're thinking of going to a college camp to try to get a scholarship, find out where you are on the recruiting list and if the coach has a lot of interest in you before you spend money to attend the camp. Depending on the sport, you may want to attend a Division I camp the summer after you complete your sophomore year. When you're a junior or senior, go to camps of colleges recruiting you. For showcases, find out which college coaches are expected to attend---but realize that not all the coaches on the list will attend the showcase. What do I have to do to earn a scholarship from your program? 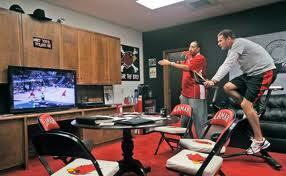 Where do you usually go to evaluate athletes? Can I meet with you in an unofficial visit? How is the recruitment process going for you for my graduation year? Do you have any tournaments, camps, or showcases you think I should attend? How should I update you on my progress in sports and academics? Colleges typically perform thorough background checks on student-athletes they're interested in. Be careful about what you place in social media. 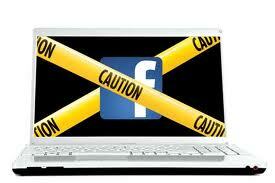 If you have a Facebook page, only include information and photographs appropriate for coaches to see. Unfriend or don't allow anyone to place a photograph of themselves or leave comments who don't present themselves as a wholesome person. Set your private settings at fully private. For every college you're interested in, find out how many juniors and seniors are going to graduate when you enter college and how many of them play your position. If a college roster has a large number of freshmen and sophomores who play your position, you might want to look at other colleges. After you've been communicating with a particular coach, it's alright to ask how many other athletes he's recruiting for your position and where you stand on their recruiting board. 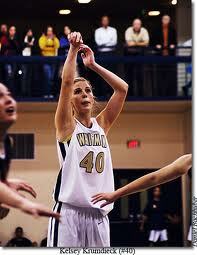 About 2% of high school athletes obtain an athletic scholarship. In 2011 a new ruling stated that NCAA Division I schools can provide athletes scholarships for more than one year. Also, most athletic scholarships are not full rides. For men, only football and basketball teams at NCAA Division I offer full rides to all athletes who receive a scholarship. Full scholarships cover tuition, fees, room and board, and required course-related books. Thousands of athletes receive academic scholarships and financial aid from the NCAA Division I Student-Athlete Opportunity Fund and non-institutional, need-based aid, including Federal Pell grants. The average scholarship outside of football and basketball is about $8,700. Outside of football and basketball, coaches often split up scholarships to get more athletes for their program. A "counter" is a person who is receiving institutional financial aid that is countable against the aid limitations for that school in that sport. The rankings of the best men's sports programs are based on consistent, year-in-year-out performance, the competiveness of their schedule, league and national championships, and the athletic program's reputation. The rankings are based entirely on the athletic programs. 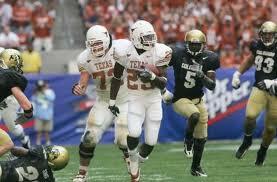 Football at the Division I level is a head count sport, thus all scholarships are full scholarships. Each NCAA Division I Football Bowl Subdivision (FBS) program---the major football schools---can provide 85 scholarships. They can add up to 25 new scholarship players to the team every academic year, as long as the total number of scholarships is not more than 85. Find out how many scholarships the schools you're interested in can provide the year you're eligible to receive a scholarship. There are 120 schools in the FBS. For Teams in Division I Football Championship Subdivision (FCS), scholarships are limited to an amount equal to 63 full scholarships. FCS schools are allowed to provide partial scholarships, as long as the total number of counters is not higher than 85. FCS teams are allowed to provide financial aid to 30 players every year. Find out how many scholarships the schools you're interested in are able to provide the year your eligible to receive a scholarship. There are 125 schools in the FCS. Strength and speed are vital in football. Show your agility, speed, quickness, and strength in your résumé. Provide your 40 time, 5-10-5 shuttle time, vertical jump height, maximum squat weight, and maximum bench weight, as well as your maximum reps at a specific weight. Send them a chart of stats. If your numbers improve, send the coaches updated information via email. Let coaches know which football camps and showcases you'll be attending during the summer. Typically, coaches just scout athletes at camps they already know, so make contact by telephone and by email. Each Division I basketball team can provide 13 scholarships. NCAA Division I basketball scholarships are full rides. There are 344 NCAA Division I basketball programs. In your résumé include points-per-game, field-goal percentage, three-point field-goal percentage, free-throw percentage, assists-per-game, rebounds-per-game, blocks-per-game, and steals-per-game. Select the items above which pertain to your position. Also, provide your height and weight as well as your vertical jump height, 5-10-5 shuttle time, and your maximum weight for squat and bench. Often at showcase events and AAU tournaments, coaches watch athletes they're already familiar with, so make contact with college coaches and send them your résumé in advance. Let coaches know the AAU team you're on and what showcases you'll be in. Show scoring highlights in your video but also show defense skills, great assists, and rebounding skills. The best videos include both offense and defense skills. 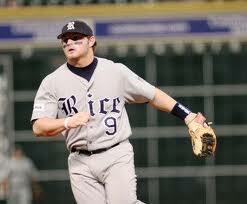 Baseball is an equivalency sport, so all scholarships are not full scholarships. A coach can divide up the maximum 11.7 scholarships among as many players as he chooses. Baseball programs have a limit of 27 total counters. Each counter must receive at least 25% of a full scholarship. There are 298 NCAA Division I baseball programs. The most vital statistics for hitters are batting average, slugging percentage, on-base percentage, RBIs, runs, hits, doubles, triples, home runs, and bases stolen. Provide your stats in a table. Include your 60-yard-dash time and maximum squat and bench weight. In your résumé, include a link to a video showcasing your best hitting, fielding, and throwing highlights. If you're a pitcher, in your résumé provide your ERA, win-loss record, average strikeouts-per-game, total strikeouts for a season, WHIP, opponents' batting average, and---if you're a closer---your number of saves. The video should show the ball from start to finish of every pitch to allow coaches to judge movement, location, and speed. Use a radar gun to show coaches how fast you can throw a baseball. 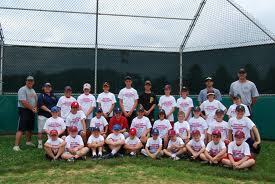 College baseball camps are available all over the nation. Some showcases last four days with overnight stays. College baseball recruiting camps give you the opportunity to showcase your skills for numerous coaches in one setting. In your résumé, include your height, weight, 40-yard-dash times with and without a ball, your one-mile time, and vertical jump. Offense players should provide their games and minutes played, goals-per-season, goals-per-game, number of shots, assists, and total points. Goalies should provide the number of games started, their record, total goals against for a season, goals against average, saves, saves percentage, shots on goal, and shutouts. There are 9.9 men's soccer scholarships per team for NCAA Division I schools. Soccer is an equivalency sport, so all scholarships are not full scholarships---coaches can divide up the scholarships among as many athletes as they choose. There are 204 NCAA Division I soccer programs. NCAA Division I track and field teams are allowed to provide 12.6 scholarships. 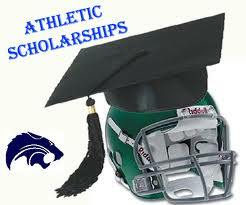 Since it's an equivalency sport, all scholarships are not full scholarships. Coaches can divide up the scholarships among as many athletes as they choose. There are 278 NCAA Division I college track and field programs. College track and field summer camps help you enhance your skills and give you an opportunity to showcase your abilities to coaches. College coaches often videotape and evaluate athletes' performances at the showcases. Most college volleyball coaches don't have large recruiting budgets, so athletes need to contact volleyball coaches and show them why they should get a scholarship. In your résumé provide statistics, including the number of games played, total number of kills, kills-per-game, total number of blocks, blocks-per-game, solo blocks, receiving percentage, digs, aces, assists-per-game, total number of assists, and attacks. Create a highlight film showing your best offensive and defensive skills and great plays you've been involved in. Join a good club team. College volleyball coaches heavily recruit volleyball players based on the club and travel teams they're part of. Do an Internet search for the club teams in your area and learn which teams produce the most college volleyball players. Provide coaches information about your high school and club playing experience. Play in events the college coaches attend. Attend college volleyball camps to get the attention of college coaches. Many college coaches suggest players should play in a league year-round. Camp coaches may suggest a jumping program, such as jumping rope. 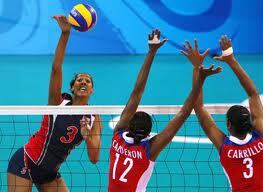 Many of them suggest volleyball players also play other sports because cross-training is good for volleyball. Each NCAA Division I level volleyball team is allowed 4.5 scholarships. Volleyball is an equivalency sports; thus, not all scholarships are full scholarships and coaches can divide the value of the scholarships among multiple players. There are 25 NCAA Division I volleyball programs. 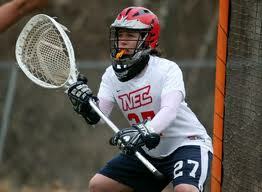 NCAA Division I men's lacrosse programs are allowed 12.6 scholarships. Lacrosse is an equivalency sports, so all scholarships are not full scholarships. Lacrosse coaches can divide the value of the scholarships among as many players as they choose. Full-ride scholarships are very rare in lacrosse. Summer lacrosse camps allow you to get noticed by lacrosse coaches and the camps help improve your skills. College lacrosse camps are held throughout the nation; however, most of them are held in the eastern portion of the United States. There are 59 NCAA Division I lacrosse programs. NCAA Division I men's wrestling programs are allowed 9.9 scholarships. College wresting is an equivalency sports, so all scholarships are not full scholarships. Wrestling coaches can split the value of the scholarships among multiple athletes. There are 73 NCAA Division I wrestling programs. Wrestling summer camps give you the opportunity to get noticed by college wrestling coaches and improve your skills. NCAA Division I swim teams cam provide 9.9 scholarships. Swimming is an equivalency sport; thus, all scholarships are not full scholarships. Coaches can divide the scholarships among as many athletes as they choose. Swimming and diving share scholarship money. There are 134 NCAA Division I swimming programs. College swimming camps give you an opportunity to showcase your skills to college coaches and improve your skills. 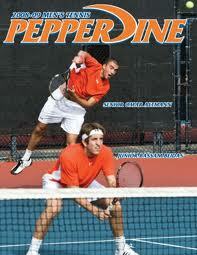 Each Division I tennis program is allowed 4.5 scholarships. Tennis is an equivalency sports, so not all scholarships are full scholarships. Tennis Coaches can divide the value of the scholarships among multiple players. Participate in leagues, inter-club, and tournaments before you go to high school to build up your résumé. Competitive college tennis programs often recruit tennis players currently ranked by organizations such as USTA and ITF. Coaches look for players with experience from showcases, tournaments, or camps. National tournaments and college tennis camps are easy to enter. Each school can offer 18 ice hockey scholarships spread out over more than 30 student-athletes. The most common path to obtain an ice hockey scholarship is to play Junior A hockey in a North American league. 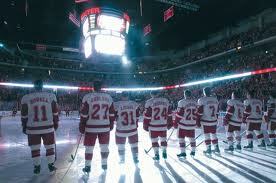 There are 58 NCAA Division I hockey programs. Summer ice hockey camps give you the opportunity to show your skills to college coaches and improve your skills. There are 31 NCAA Division I bowling programs. The top college bowlers have a 200 or higher average. 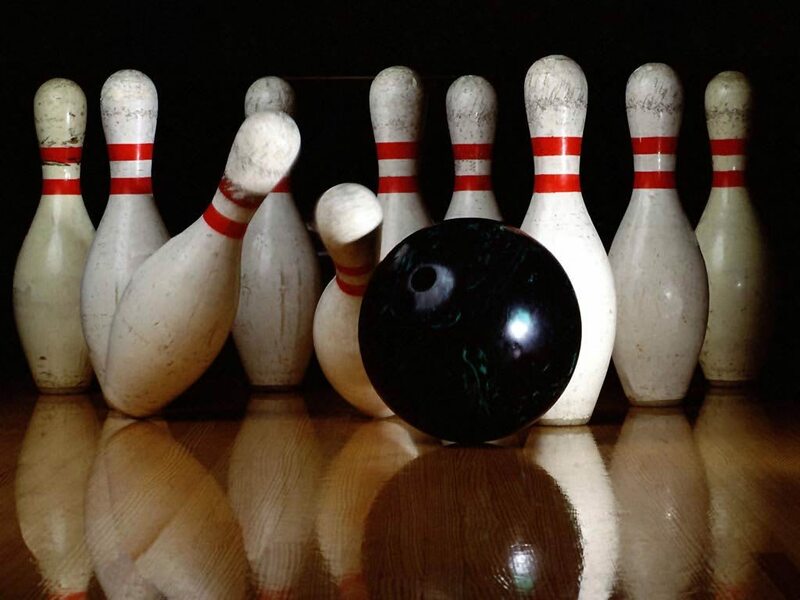 The average college bowler has a 165 average or higher. Top tournaments to participate in include the United States Bowling Congress Junior Championships, the North Pointe Insurance Group High School Singles Tournament, and the Teen Masters. Schools can provide five scholarships. Not all the scholarships are full scholarships; the bowling coaches can divide the value of the scholarships among multiple bowlers. 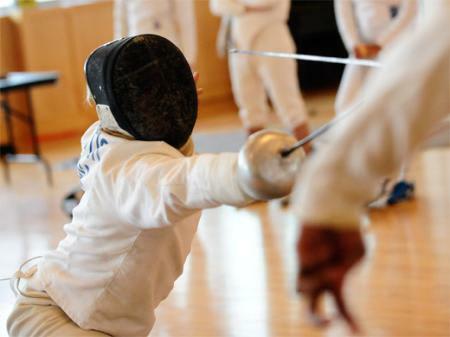 The NCAA allows every Division I college fencing program to provide 4.5 scholarships for men. Not all the scholarships are full scholarships; the coaches can divide the scholarships allotted to them among as many fencers as they choose. There's a high fencer skill level at college. High school fencers should attend some tournaments to see the intensity of fencing at the college level. Attend a college fencing camp to increase your chances of being seen by college fencing recruiters. 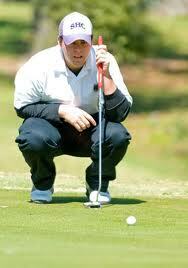 The NCAA allows Division I men's golf programs 4.5 scholarships. Not all the scholarships are full scholarships; the coaches can divide the scholarships allotted to them among as many golfers as they choose. There are 294 men's NCAA Division I golf programs. The top Division I golf programs look for athletes with top finishes at the USGA and AJGA events, as well as at regional and state levels. They also look for athletes with a high Polo Golf ranking. Gymnastics coaches mostly watch videos to evaluate gymnasts. Division I men's gymnastic programs are allowed 6.3 scholarships. Not all the scholarships are full scholarships; the coaches can divide the value of the scholarships among multiple gymnasts. Only a small number of schools have men's gymnastic programs and they're all in Division I. College gymnastics camps give gymnasts an opportunity to meet college coaches. College recruiting showcases are very competitive. The NCAA allows every Division I men's skiing program 6.3 scholarships. Not all the scholarships are full scholarships; the coaches can split the value of the scholarships among multiple athletes. 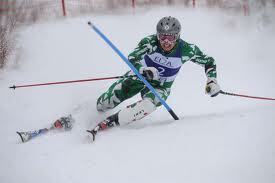 Skiing camps are a great place to showcase your skills and increase your recruiting opportunities. There are no officially sponsored NCAA scholarships for riflery. However, several private sponsors and donors provide high school shooters college rifle scholarships. 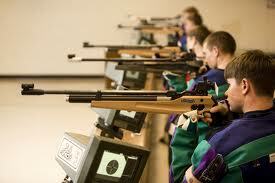 More than 40 colleges have a riflery program.